Security solutions serving Raanana, Hod Hasharon, Netanya, Herzylia, Ramat Hasharon, Rosh Haayin, Kfar Sava, the Sharon moshavim and the Shomron (Samaria). Magen Yehuda Security Systems - Located in Kfar Sava, Yehuda Security Systems is a creative, professional and experienced security group in the Sharon area. We offer highest quality security cameras, alarm systems, intercom and entrance systems, PA systems, smart house systems, unique furniture and toy hidden security systems, smart bars (window and entrance bars) that provide the perfect undetectable security system. this is a security system for Shabbat as well that is approved by the Tzomet Institute. Magen Yehuda Security Systems in the Sharon area has developed a wide and original security system range of products, suitable for young couples renting apartments, young couples and new home owners, middle aged and elderly security solutions. In addition, Magen Yehuda Security Systems provides for the advanced security needs of The Sharon area Moshavim, local hospitals, factories, public parks, local councils and more. We provide creative security solutions for people and organizations of all ages and types, and come with years of experience, a highly developed ability to listen to and satisfy the needs of the customer and will not install any piece of equipment that has not been thoroughly checked and tested in advance by our team of professionals. Shabbat Security systems with rabbinic approval by the Tzomet Institute. Security solutions in the Sharon area. Raanana, Hod Hasharon, Netanya, Herzylia, Ramat Hasharon, Rosh Haayin, Kfar Sava, the Sharon moshavim, Bnei Brak and the Shomron (Samaria). We offer a unique and affordable security solution for young couples in rented apartments and homes. As you grow with us, we grow with you - Magen Yehuda Security systems in Kfar Sava. We also provide a unique and exclusive security solution for Shabbat with rabbinic approval and at affordable prices for religious families and institutions. Yael Diamond - Interior Designer and Interior Design Architect in Raanana, Kfar Saba and the Sharon area. Home refurbishing in Raanana, Kfar Saba and the entire Sharon area. English and Hebrew spoken. Yael Diamond is an experienced and talented interior designer living in Kfar Saba. Yael has an original mindset regarding the use of space and a host of tried and true options depending on the budget, needs, sensibility and aesthetic desires of the client. Yael Diamond will provide your home, office, business and apartment with the complete package, from interior architectural design, interior design and even home refurbishing. She will manage the entire team of contractors necessary to achieve your dream of turning your home into your palace, and your business or office into the perfectly suited work environment. Yael Diamond - Interior Design in Kfar Saba and the entire Sharon area - is equipped to handle all of your interior design and interior architecture needs, for office, business or home. she is also expert at home refurbishing and simply knows the secret of turning your home into your castle, your dream. With years of experience and knowledge of the entire interior decorating process, from the basic building materials and the contractors needed to perform the work, Yael is unparalleled and is a favorite of the local English speaking community in Kfar Saba and Raanana and the entire Sharon area. She is fluent in English and Hebrew and understands the needs and mentality of these communities very well. Yael is also a talented mosaic artist and has been commissioned by clients to add to her design capabilities a work of art for beautiful display in the newly refurbished home. Further, she is totally hands on with the regular refurbishing work, managing all of the subcontractors and getting her talented hands into the work as well. Home Design and Home Refurbishing in Raanana, Kfar Saba, Netanya and the entire Sharon area. Yael Diamond - Interior Designer and Interior Design Architect. Yael Diamond Services, Back Office services located in Kfar Saba and serving Raanana, Tel Aviv, Kfar Saba, Hod Hasharon, Ramat Gan and the surrounding areas. Secretarial services in Raanana and the surrounding areas. Secretarial Services, Back Office Services - Raanana, Kfar Saba, Ramat Gan, Tel Aviv and the surrounding areas. If you are a business owner, entrepreneur or individual who needs assistance from time to time, consider using our services. Diamond Services provides administrative and business support to a variety of clients including individuals, professionals, and businesses of all sizes. Yael Diamond Back Office Secretarial Services is a virtual assistant who utilizes the most efficient methods possible to keep costs to a minimum while passing savings on to customers. She remains flexible to accommodate schedules and strives to provide services curtailed to meet individual needs. Yael Diamond Secretarial and Translation Services - over 18 successful years of experience! Back Office Secretarial services - Raanana, Kfar Saba, Ramat Gan, Tel Aviv, Hod Hasharon and surrounding areas. Perfect solution for individuals, small businesses and organizations. Serving clients throughout Israel, but chiefly offering secretarial service in Kfar Saba, Ra'anana, Ramat Gan, Tel Aviv, Herzylia, Hod Hasharon and the entire Sharon area. Back Office Services in Raanana, Kfar Saba, Hod Hasharon, Ramat Gan, Tel Aviv. Diamond Secretarial Services. In addition to the Yael Diamond secretarial services, Yael is a prolific and bilingually fluent translator in English and Hebrew. Hebrew to English and English to Hebrew translations as well as all types of editing in both languages. Back Office, Secretarial and Translation Services in Raanana, Kfar Saba, Ramat Gan, Hod Hasharon, Herzylia, Tel Aviv and the surrounding areas. Saidel's Organic Artisan Bakery - handcrafted organic health breads (organic bread) supplying Karnei Shomron, the entire Shomron (Samaria), The Sharon, including Ra'anana, Kfar Sava, Hod Hasharon, Bet Shemesh and more. 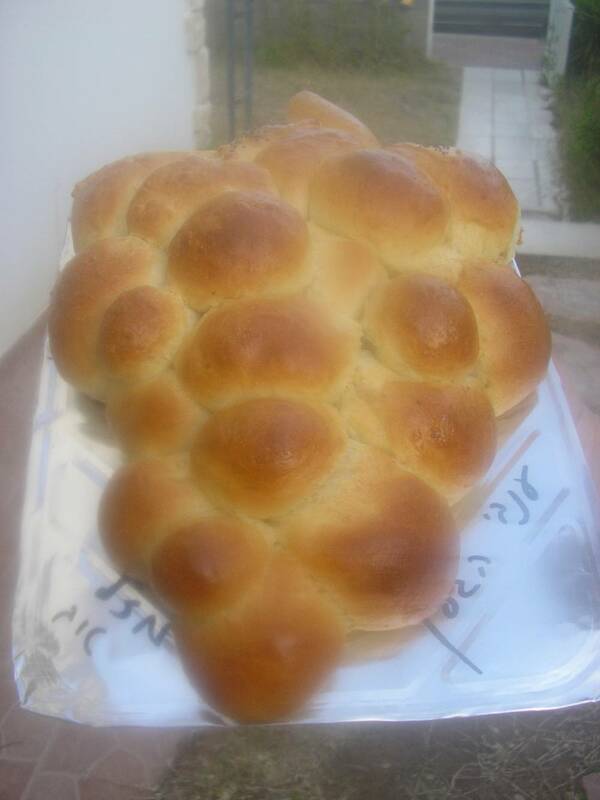 Saidel's Organic Artisan Bakery is Kosher Lemehadrin and all our products are pareve. Saidel's Organic Artisan Bakery produces a wide variety of stone ground organic whole wheat breads, bagels, bialys, challahs, pastries and cookies. Saidel's Organic Artisan Bakery is the only producer in Israel of authentic New York bialys and New York deli rye bread. Our American style bagels (boiled then baked) are the best in Israel, as is our Good Old Fashioned Apple Pie. At Saidel's Organic Artisan Bakery we grind our organic whole wheat flour in-house to ensure maximum freshness and health benefits. In addition, Saidel's Organic Artisan Bakery uses natural sourdough yeast to ferment our breads. Saidel's Organic Artisan Bakery has developed their own speciality - Rambam Bread (http://rambambread.com) that combines the health benefits of organic stone ground whole wheat flour with a blend of medicinal herbs recommended by the Rambam (Maimonides). A unique fermentation process also reduces the amount of gluten in the bread, making this bread lower in gluten than regular whole wheat bread. In addition, Rambam Bread is packed with added vitamins, minerals, Omega-3 and Omega-6. 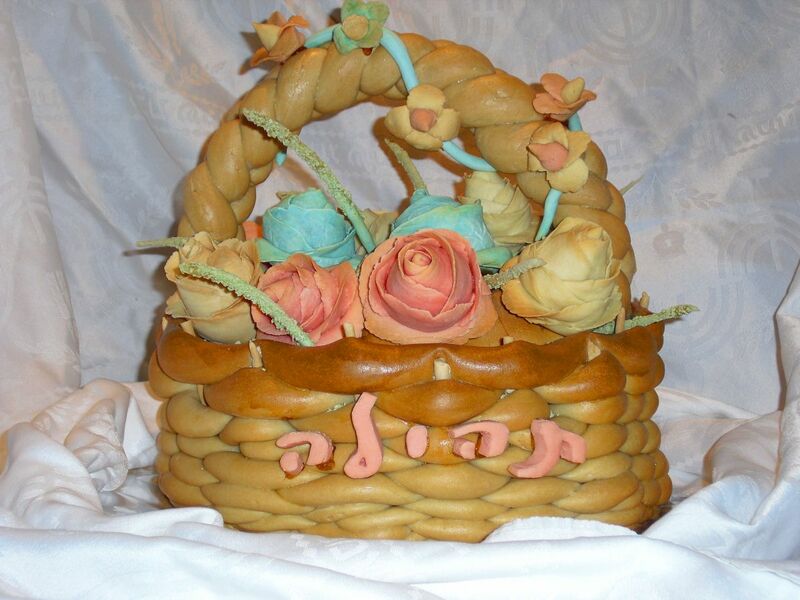 Saidel's Organic Artisan Bakery specializes in producing unique solutions for special occasions like weddings, bar mitzvahs, bat mitzvahs, britot, anniverseries, birthday parties etc. We make a huge Triple Decker Challah and a Cluster of Grapes Challah. We also specialize in bread sculptures for any occasion and we design custom bread displays to make your event different and special. We supply these services to individuals and caterers alike. Saidel's Organic Artisan Bakery also provides baking workshops for groups or individuals, from beginner to advanced levels. This is especially suited to birthday parties, bat mitzvahs, or anyone looking to improve their baking skills. You may order online Gift Packages to Israel at http://saidels.com/order.htm or by telephone 09-794-12222. Anyone from outside Israel (USA, England, Australia, Canada, France etc.) may send their family and friends in Israel gift packs containing our special products or gift vouchers for our baking workshops. There is no better gift than a delicious, healthy treat from our unique bakery. 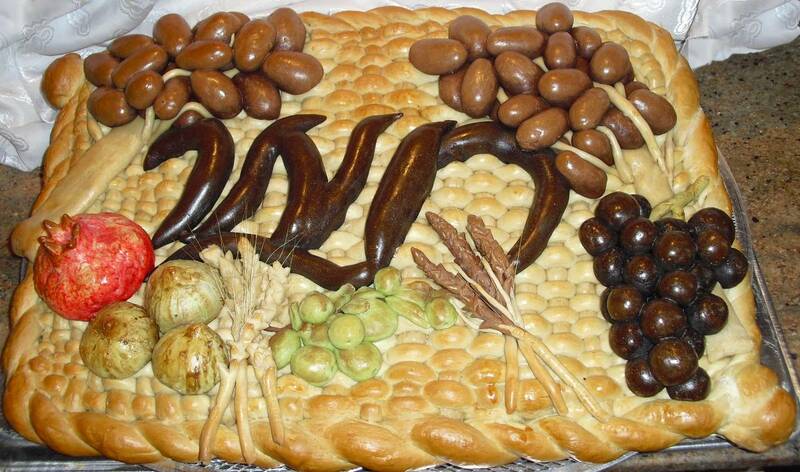 Saidel's Gift Packages in Israel are famous for quality, freshness, originality and great taste. For a unique experience visit our family bakery, set in the pastoral hills of the Shomron. Come drink in the intoxicating fresh air and see one of the largest brick ovens in Israel in action. 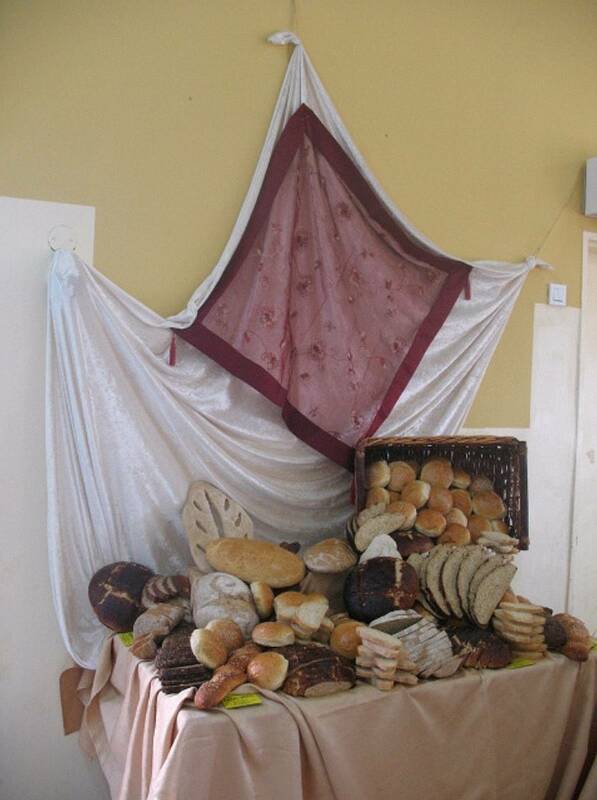 Experience how bread was baked hundreds and even thousands of years ago - the healthy way. Saidel's Organic Artisan Bakery - "baked with love"
Home Improvement and Construction including expertise in aluminum constructs. All types of windows, electronic window shutters, fences and gates, galss showers, baths. Repairs as well. Jewish Labor! Broyer Furnitue in the Shomron (Samaria). We deliver throughout the entire country of Israel and serve all of the Shomron settlements as well, including Kedumim, Karnei Shomron, Ma'ale Shomron, Neve Eliza, Yitzhar, Chavat Gilad, Elon More, Itamar, Shavei Shomron and more. Furniture for the entire family, including a wide variety of beds, chairs, bedframes, bookshelves, closets for clothes, salons and dining furniture of all types, office furniture and more at more than competitive prices. Special deals for newlyweds. Orders can b done by phone or through email as well. Years of quality satisfaction and individual treatment for each and every client. Emmanuel Kapash - building engineer from Kedumim in the Shomron (Samaria). Over 35 years experience in engineering and land evaluation. With his vast experience, Kapash has advised banks, local government projects, private people and non-profit organizations. Project management, building management at all levels, including financial, technical, engineering, time management and more. Complete accompaniment of project from beginning to end. Roni's Restaurant in the Shomron (Samaria)settlement of Kedumim is a kosher meat restaurant serving a wide range of Israeli foods and grill. We also do catering for Sabbath and special occasions. Great food - even better prices!